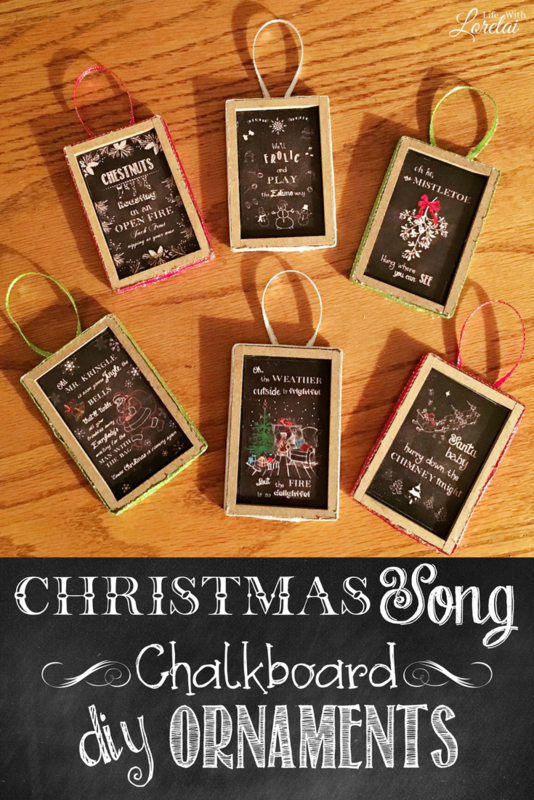 If you love Christmas Music, you’ll love these Christmas Song Chalkboard Ornaments. Get a free printable to make your own easy DIY craft. Ornament Exchange. 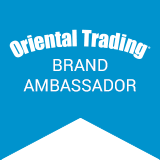 My awesome partner for this exchange is Jeanie from Create and Babble. Like me, Jeanie has just about every style adorning her Christmas tree, and we agree, we like it that way. Jeanie made me the prettiest babbles for my tree — one is star-shaped with the word, “Believe,” and a Buffalo plaid ribbon and the other is a ball with the word, “Joy,” with a black and white gingham ribbon. It’s so funny because I just purchased some Buffalo plaid decor items for the holidays and winter (watch for it on the blog). How did she know? LOL Thanks, Jeanie, I love my ornaments and will display them proudly! Be sure to check out the link to her ornament tutorial below (it’s #26). I absolutely LOVE Christmas music — all sorts, traditional, carols, secular, you name it. The music starts playing as soon as Thanksgiving dinner is over and doesn’t stop until after New Year. 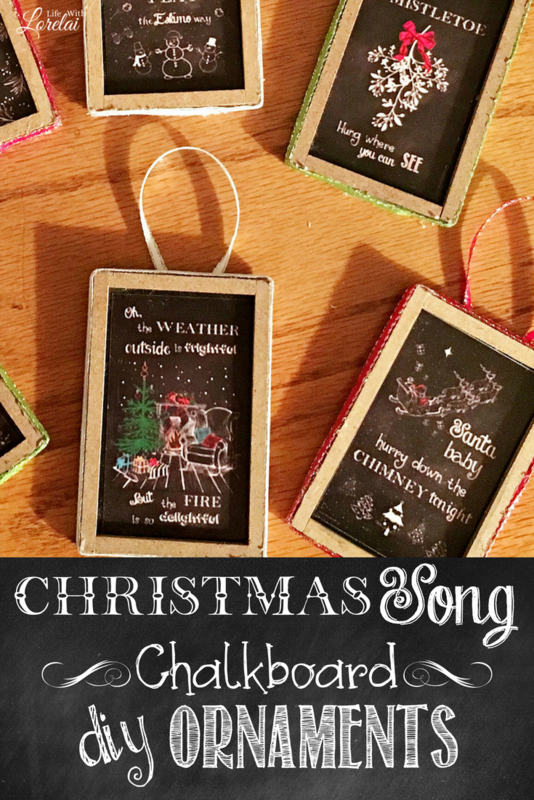 So, I thought I would create a set of ornaments inspired by the music I love, Christmas Song Chalkboard Ornaments. 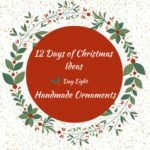 These ornaments are super easy, especially since I have made a FREE PRINTABLE for you to use. 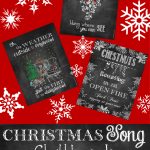 Print the Free Printable Christmas Song Chalkboards on a lighter weight Glossy Cardstock for best results. Hot Glue your Ribbon around the side edges of the frame. Cut the chalkboards out of the cardstock. Using the Double-sided Tape, place adhesive on the back side of the cutout chalkboard (one at a time). Adhere the cardstock chalkboard in the center of the frame. Flip the frame over and hot glue a small length of ribbon on the back side of the frame as a hanger. 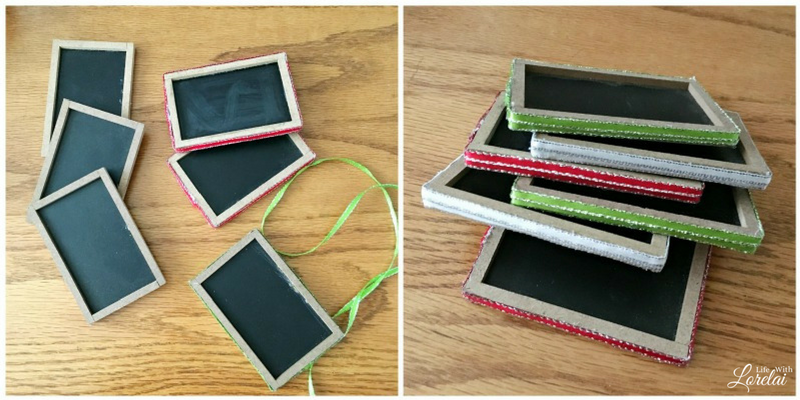 These Christmas Song Chalkboard Ornaments are great for hanging on the tree. But you could also clip them to some greenery and make a banner or wreath with them. And they would make a super fun Christmas gift. It does not get much easier! I had so much fun making the Christmas Song Chalkboards that I made them in several sizes. 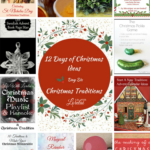 So, if you like one or all for yourself or as gifts, you can find them HERE. I would love to hear your ideas for using these ornaments. Ooh simple enough. I think I could handle making these, and they are so cute!! Love the printables. 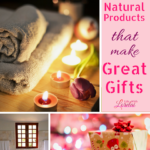 These would be great to add to gifts too. These are wonderful ornaments! What a great idea. When I hopped back to share and comment I realised this wasn’t the weekly party. 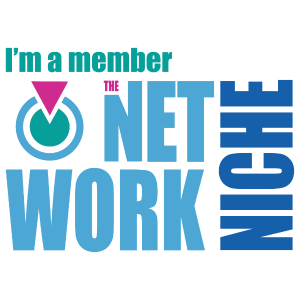 Sorry to leave links and hope it wasnt much trouble to delete! See you next week. So cute. What a festive way to display fun christmas songs. What adorable ornaments. 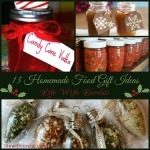 Not only will they look cute on the tree but will be great on a gift as well. These are sooo cute. 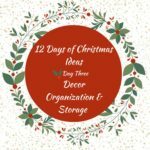 And would be a fun project to make with your kids or at an ornament making party! 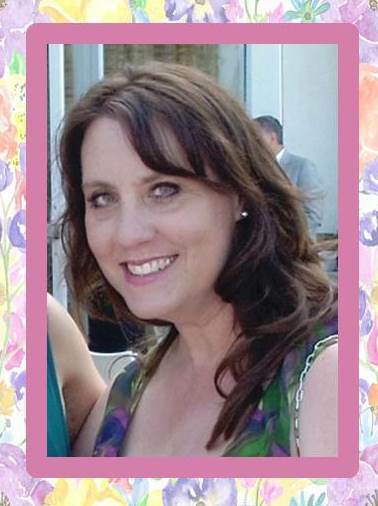 Loralie this is such a cute project. And I am a huge fan of the chalkboard look so I’ll definitely be looking into making these. Awesome, Mary! I’m thrilled you love my Christmas Song Chalkboard ornaments. 🙂 Have happy holidays. How adorable, and you’ve made them so easy to replicate. I could do these with my kids. Very clever! I was wondering how you got the writing so small! I love seeing everyone’s ideas! What a wonderful and easy way to make ornaments. I love how you can create prints to add to customize the ornament. 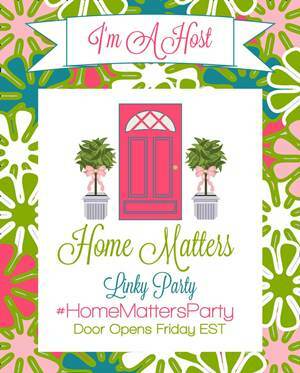 Beautiful printables! These would make such a great gift. Those are so cute!! Very vintage, perfect for classic traditional trees in an old one-room school house! 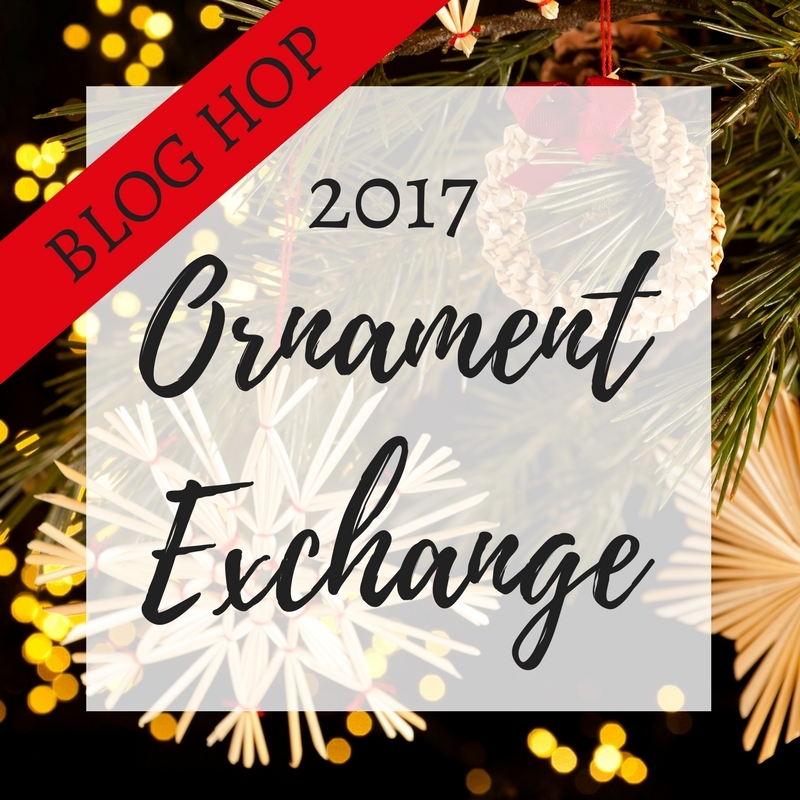 I love all the ideas I get from the ornament exchange each year!